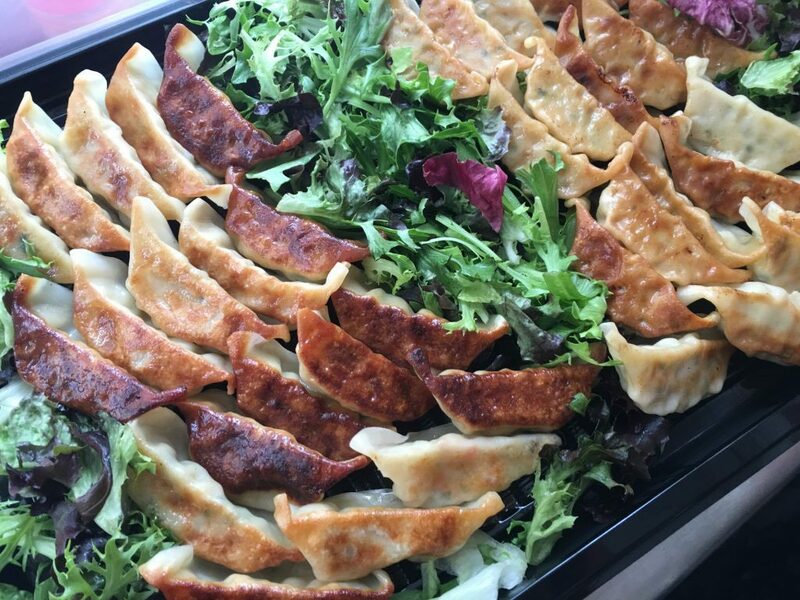 Welcome/Irasshai to I’m Japanese. 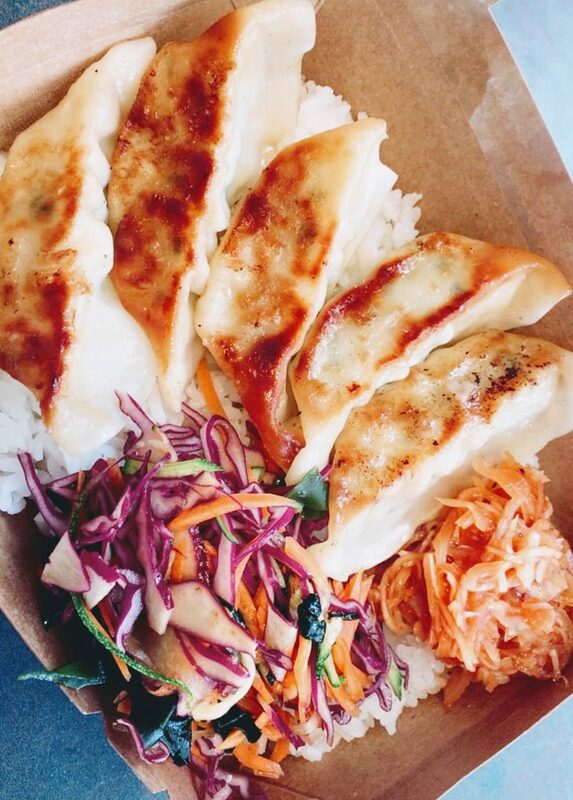 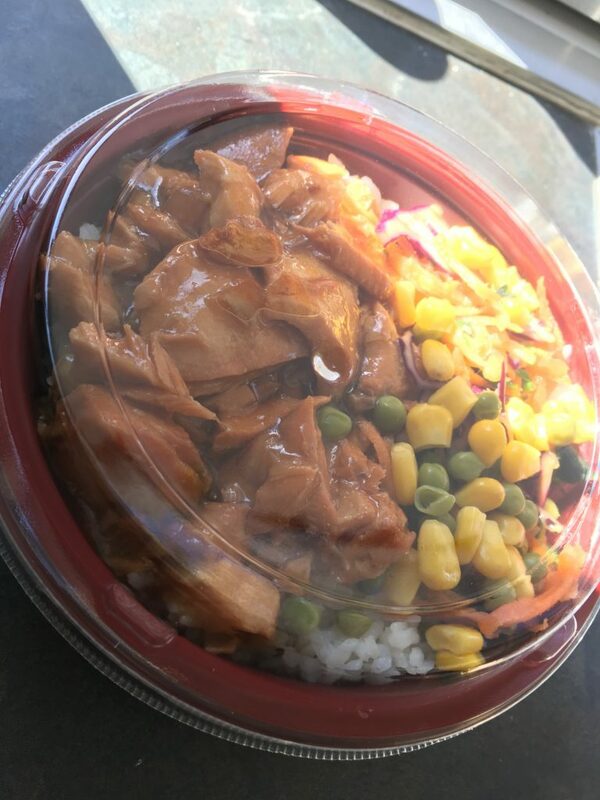 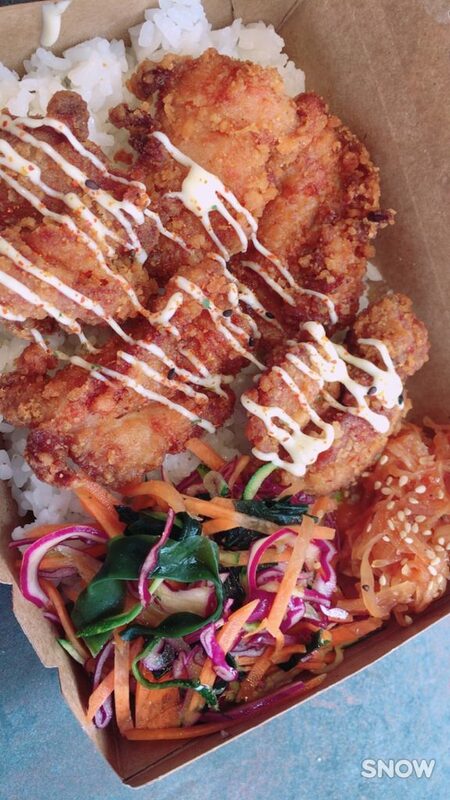 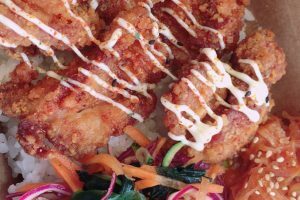 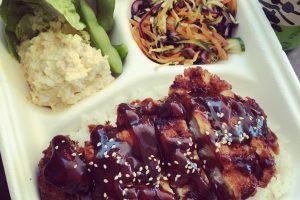 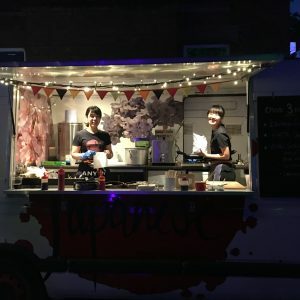 We cook home made Japanese food and our food is available from our street food van in Oxfordshire. 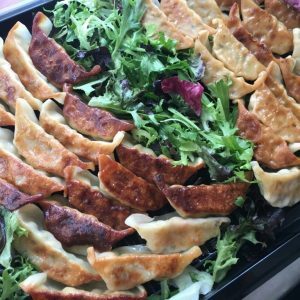 We offer catering, events and parties. 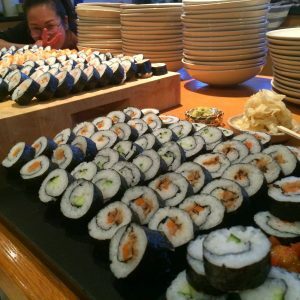 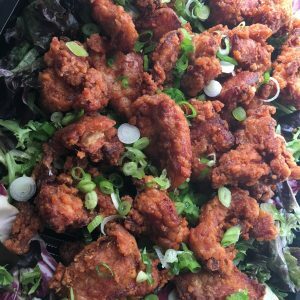 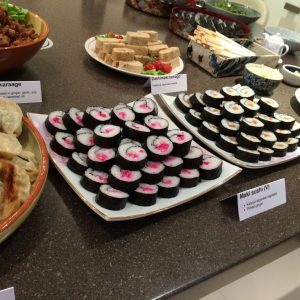 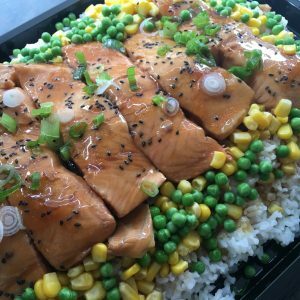 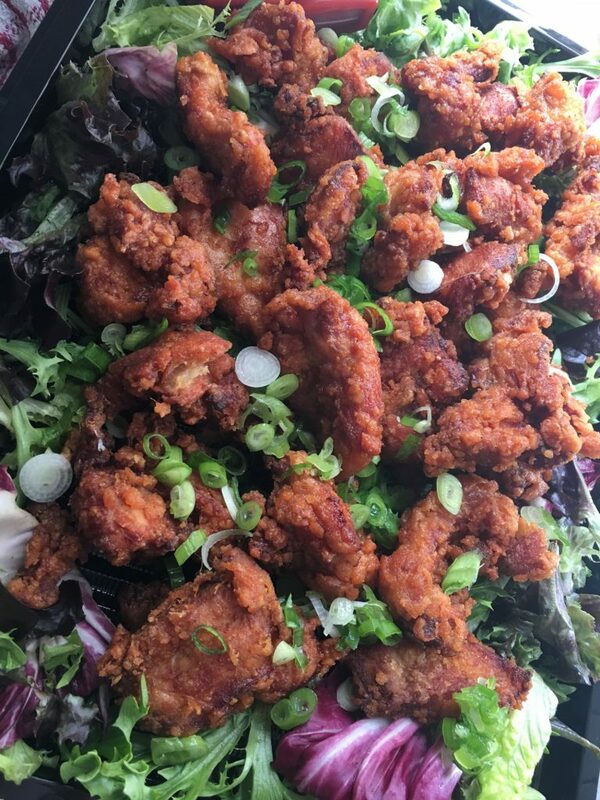 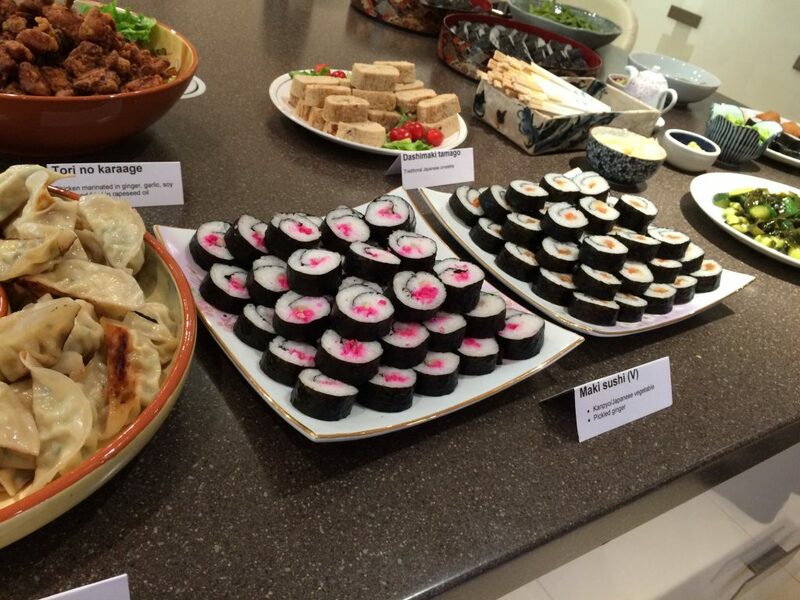 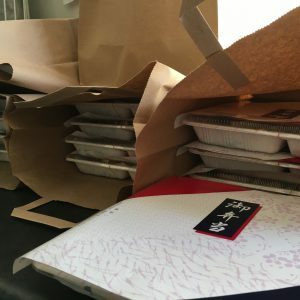 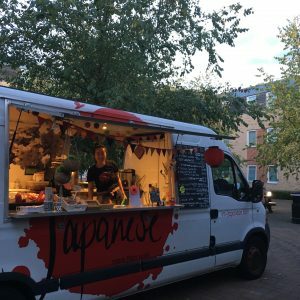 I’m Japanese was founded in 2011, with a view to provide authentic, homemade Japanese foods, which we Japanese like to eat and are confident that are ‘Oishii/delicious’. 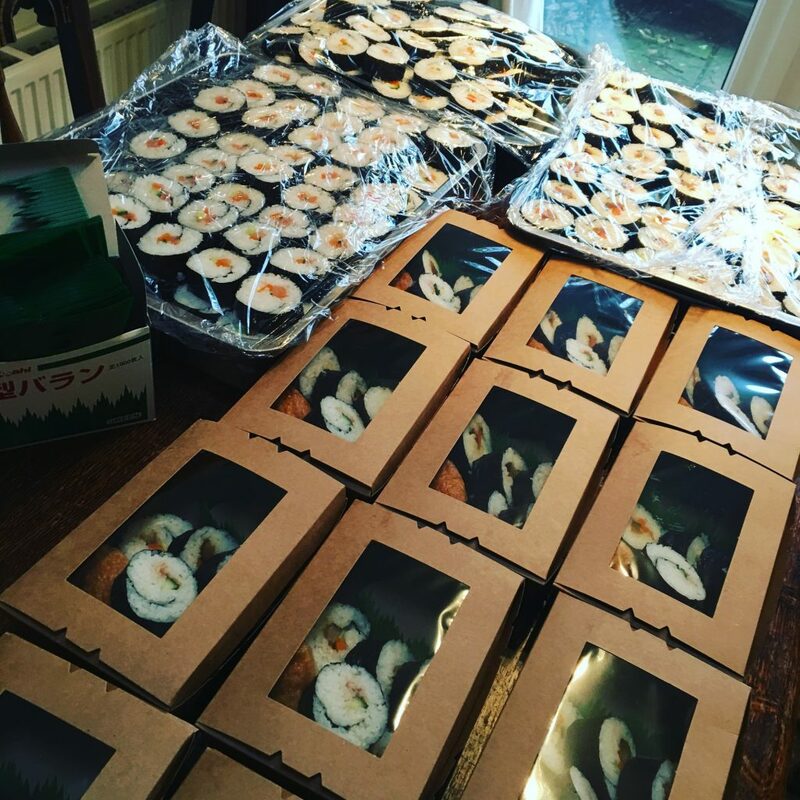 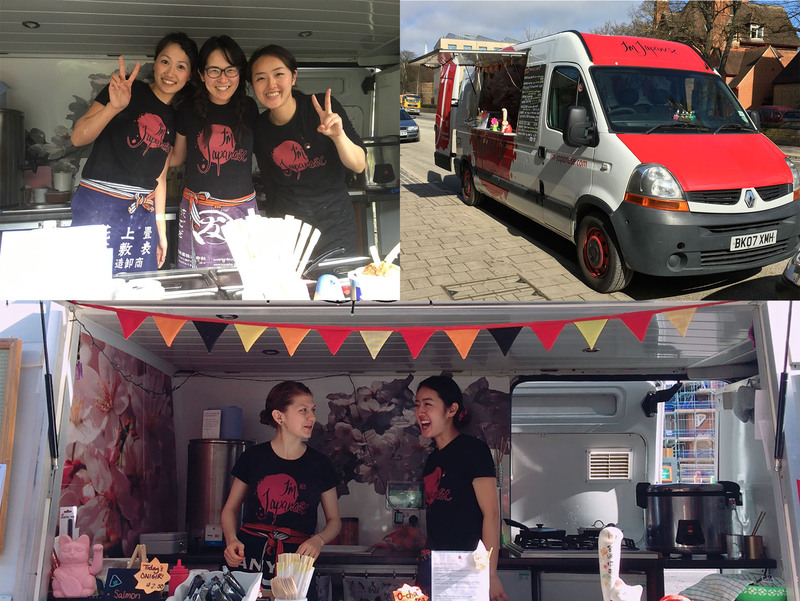 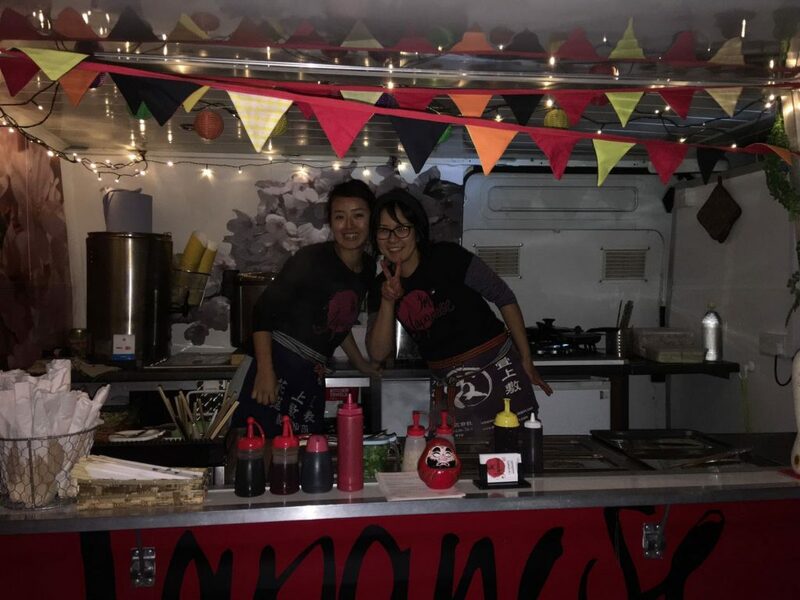 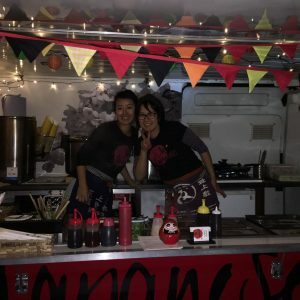 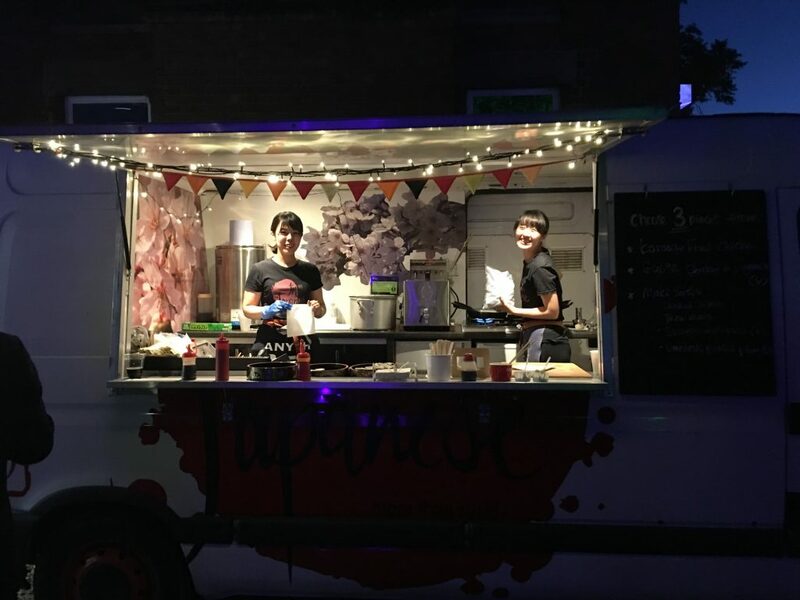 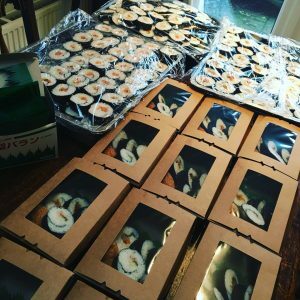 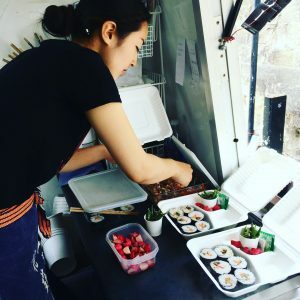 After years of selling homemade maki sushi (rolled sushi) at farmers’ markets in Oxfordshire, we wanted more opportunities to expand our repertoire of Japanese foods, cooked in a catering van. 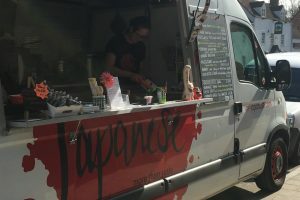 The I’m Japanese van started in January in 2016. 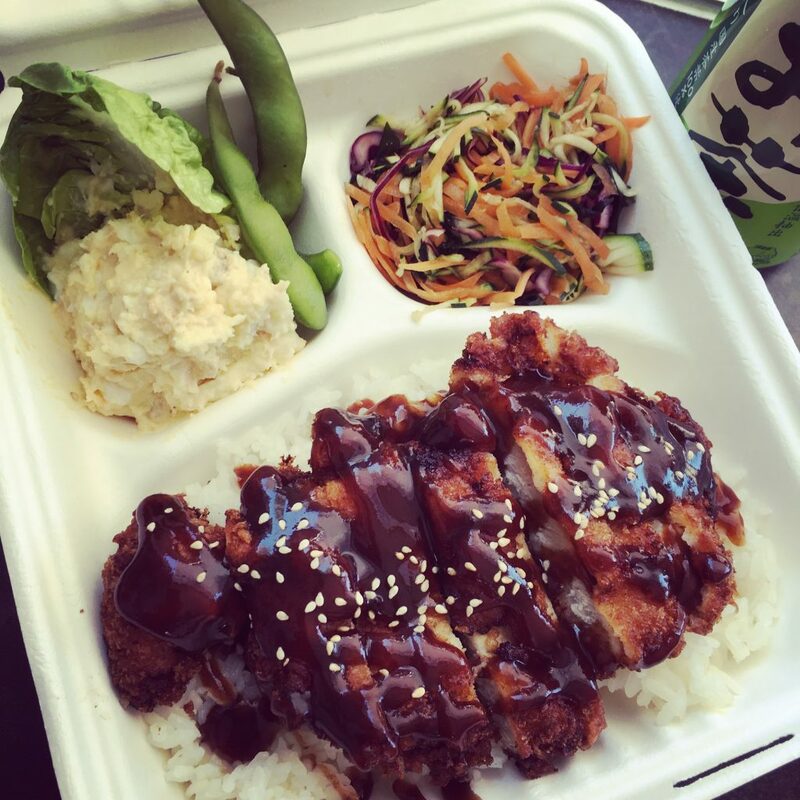 We are now located on Woodstock road on weekdays offering tasty lunch boxes. 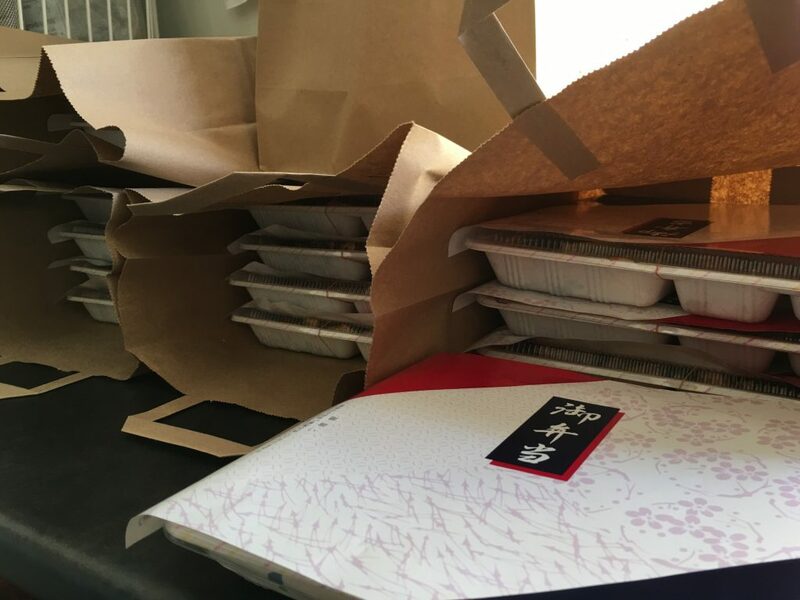 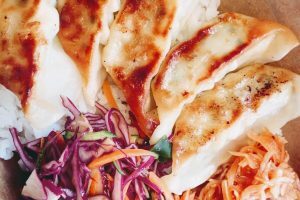 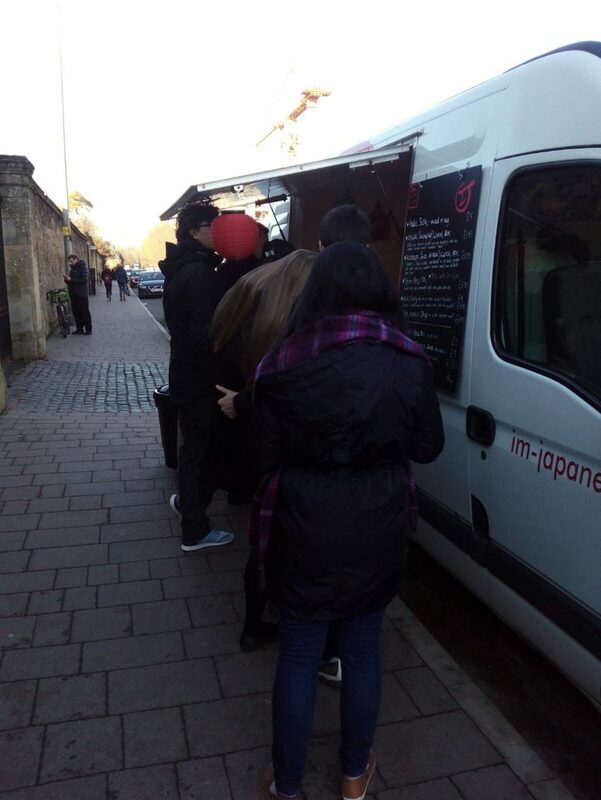 We also offer catering for parties and events, (with and without the van) as well as bike deliveries around the Oxford city centre area at lunch time. 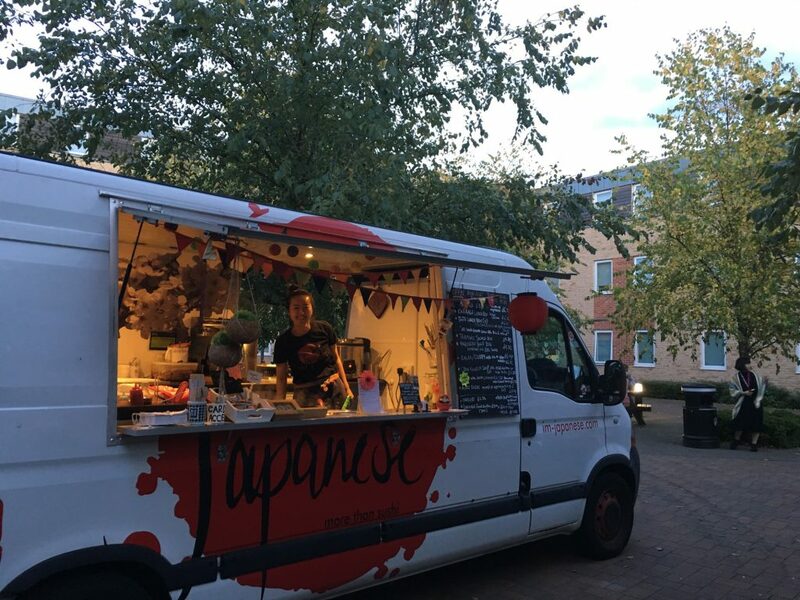 FIND US near the Radcliffe Observatory Quarter, opposite the Royal Oak pub on Woodstock Road! 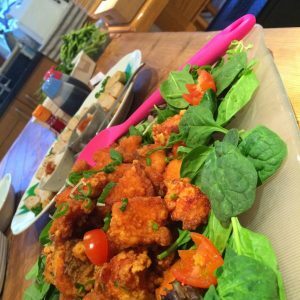 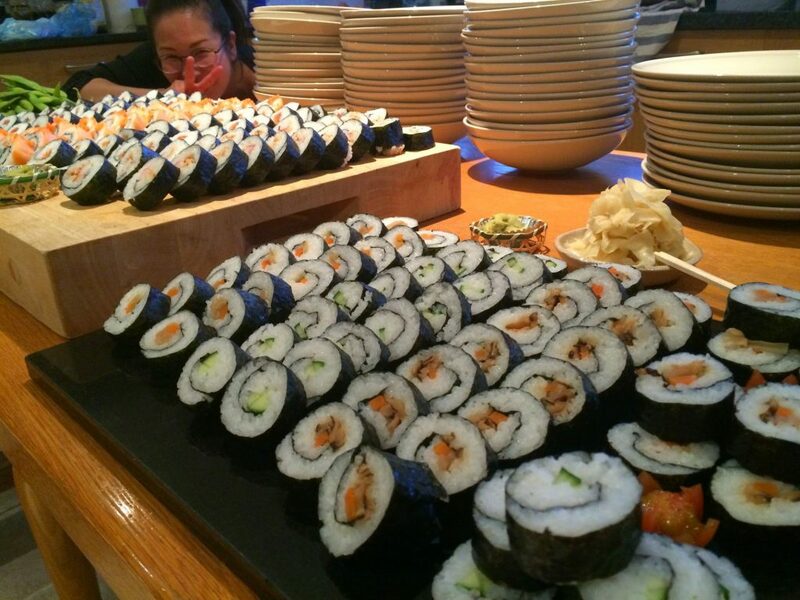 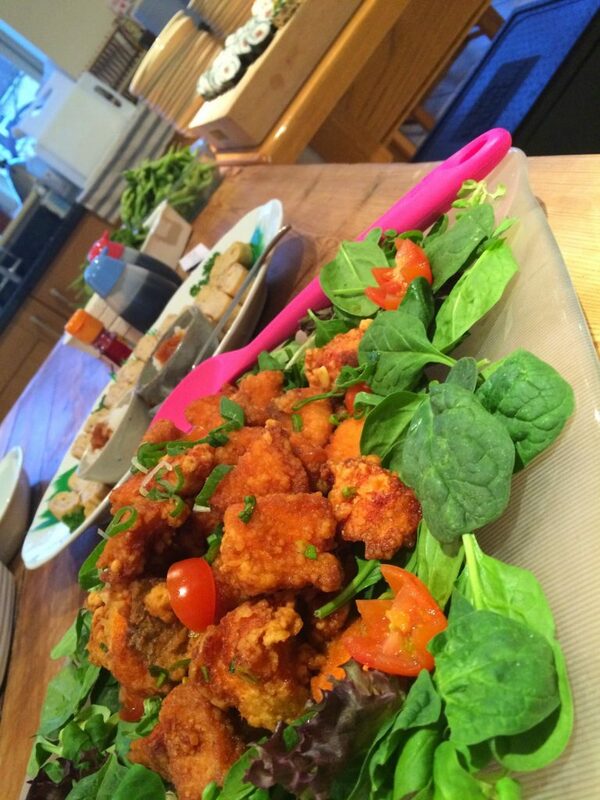 We cater for events and parties either at a venue or a private home. 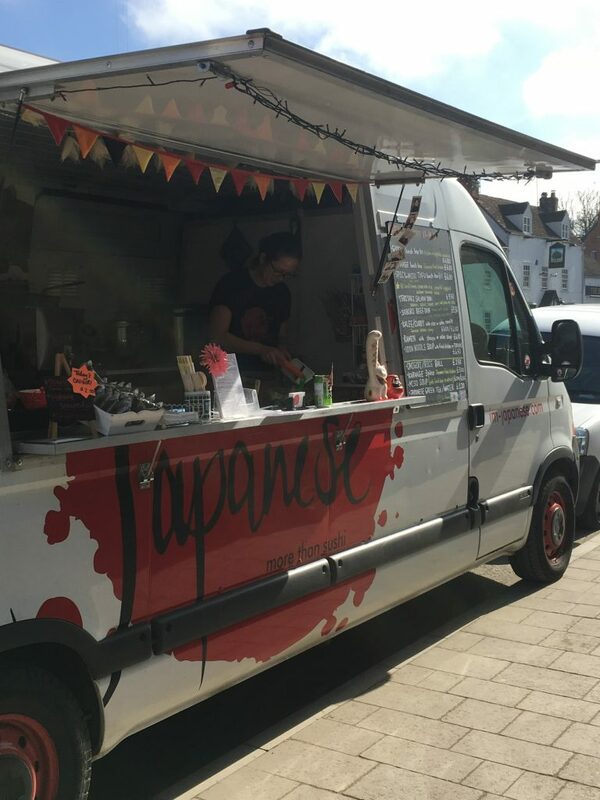 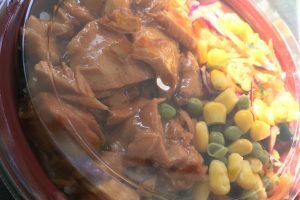 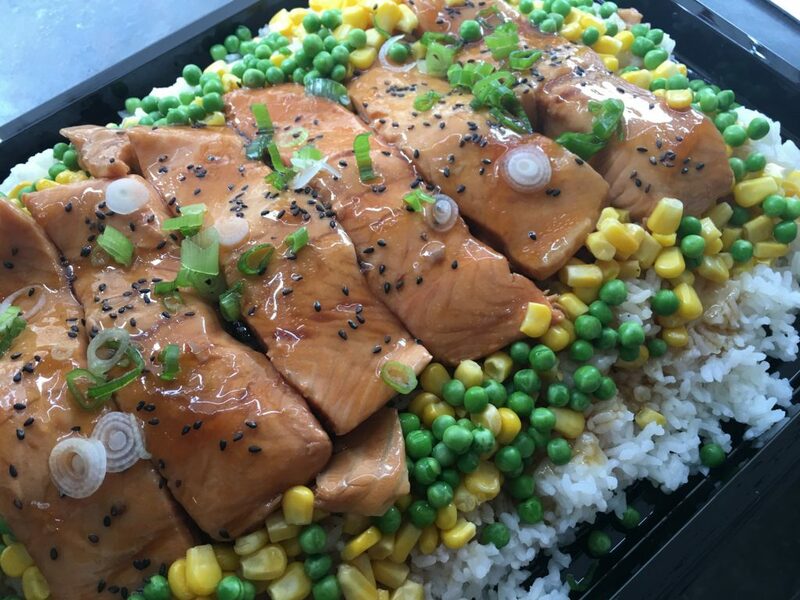 We can provide foods or serve them from the I’m Japanese catering van. 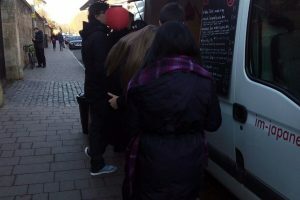 Please contact us for further queries.